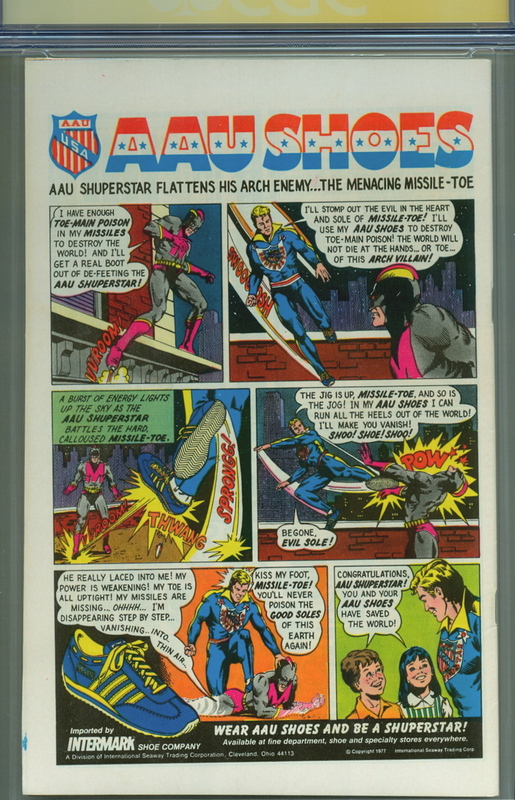 This copy of DC Super-Stars #17 ties with All-Star Comics #69 for the first appearance of the Earth-Two Huntress (Helena Wayne) as both were released on the same day. 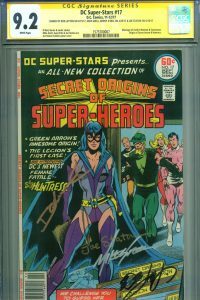 DC Super-Stars #17 includes her origin and this copy is signed by hand by Bot Layton, Mike Grell, Denny O’Neil, and Joe Staton. The issue also features the marriage of Earth II Batman and Catwoman. 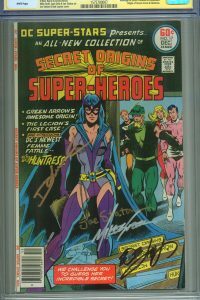 It is professionally graded by CGC and is part of their special Signature Series. With Signature Series books, a certified witness actually observes the signing/sketch of the book and then immediately takes possession of the comic so there is no chance for the real autograph/sketch being replaced or substituted. CGC case is scratch and defect free and will be shipped with the utmost care.